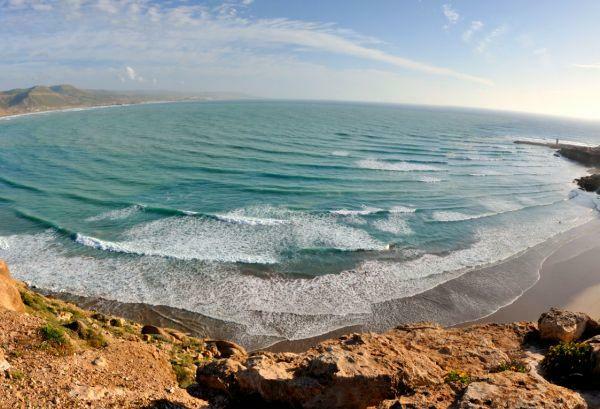 On the coast of North Africa, bathed by the Atlantic on the west and south and by the Mediterranean on the north, Morocco is an exotic destination, but also home to very good quality waves and a real paradise for regulars due to the right hander point breaks, which are the region’s calling card. 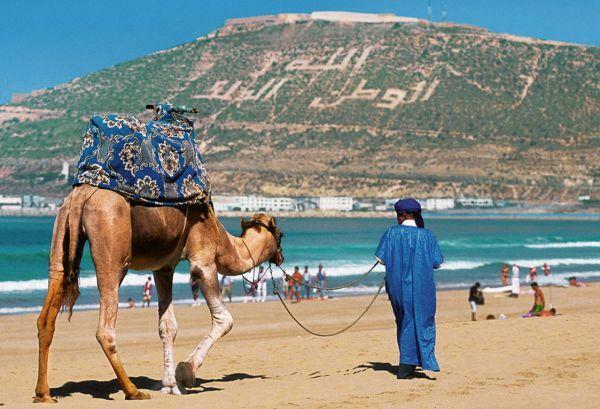 Morocco is part of the Maghreb and it has a mountainous inland, long stretches of desert and a slight European touch due to the proximity to the Old Continent. But the country’s most precious treasures are on the coast. An authentic wave factory, like a natural version of a modern water park. Then there are the vast and beautiful sandy beaches which set the frame for a unique landscape. Tourism is one of the country’s main cash cows, boosted by a rich culture of history, sounds and flavours. The population is largely Muslim and although it is a moderate country one has to respect the local customs. For women this means dressing modestly. Be on the lookout for thieves but also for the local police, who can be a little “insistent”. 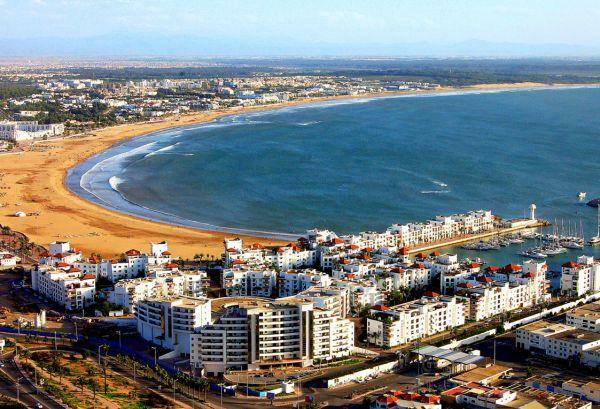 Morocco has a very diverse climate, due to the big differences between the European style coast and the desert and mountainous interior. In the North the weather is mild and Mediterranean, with moderate temperatures in the summer. Down south it is more desert like, especially in the Sahara region, very arid and dry and with long and very hot summers. West and southwest the weather is similar to Portugal’s, with more of an Atlantic bent, but hotter. The winter is not very cold, especially on the western and northern coast. 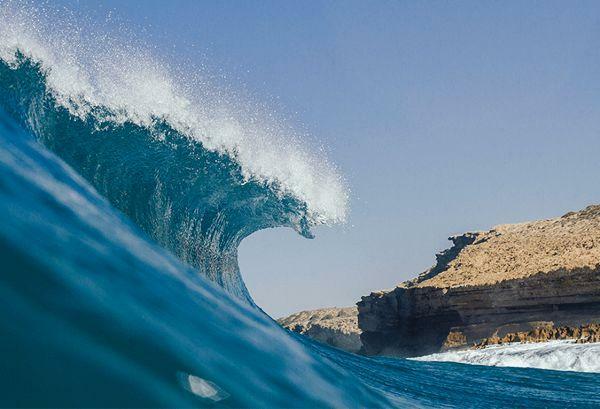 The fact that the western coast is more exposed to the North Atlantic swell gives this region characteristics identical to Portugal’s, with autumn and winter providing better and more consistent surfing conditions. There is quality surfing between September and April, but the Premium season is between November and February. 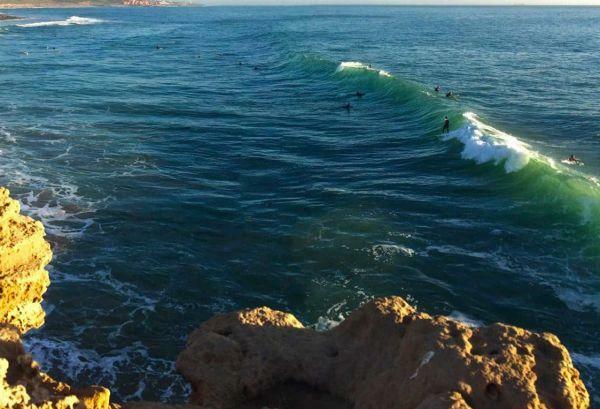 Summer is the weakest season in terms of westerly swell, but there are some more consistent options nonetheless on the Mediterranean coast, in the North. 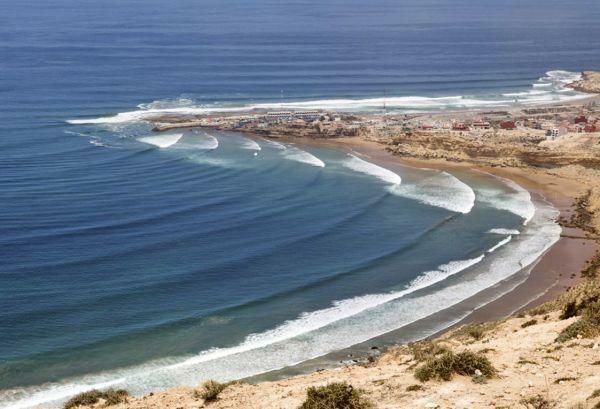 This region is a reference in terms of surfing and of tourism on the Moroccan Atlantic coast and it is also where you will find some of the longest and most perfect right handers in the country. 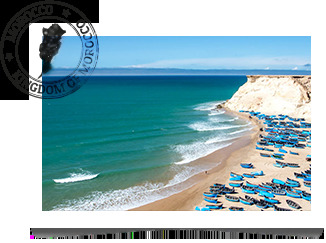 Taghazout is only some 20 km from the centre of Agadir and is the heart of the Moroccan surfing scene, owing much of its fame to the famous Anchor Point spot and the offshore wind. Since the weather is rarely cold, even in the winter, we suggest you take light cool clothes, with one or two warmer items just in case. The water can be over 20º in the summer, and goes below that in the winter, but you’ll get by with a 3/2 suit. Take more than one board, for different wave sizes and don’t forget an extra leash, fins, chords, intermediate water wax and sun screen. 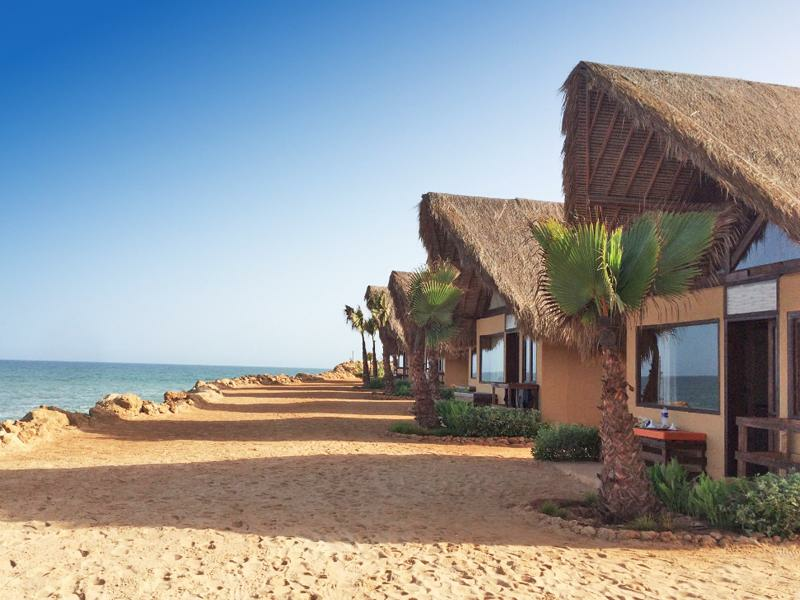 Resorts, Guest Houses and Surf Camps There are plenty of options in terms of accommodation on the Moroccan coast, especially when it comes to resorts. These are known for their comfort, but are also immersed in the local culture, besides having magical outside spaces, where you can enjoy the landscape under the stars at night. 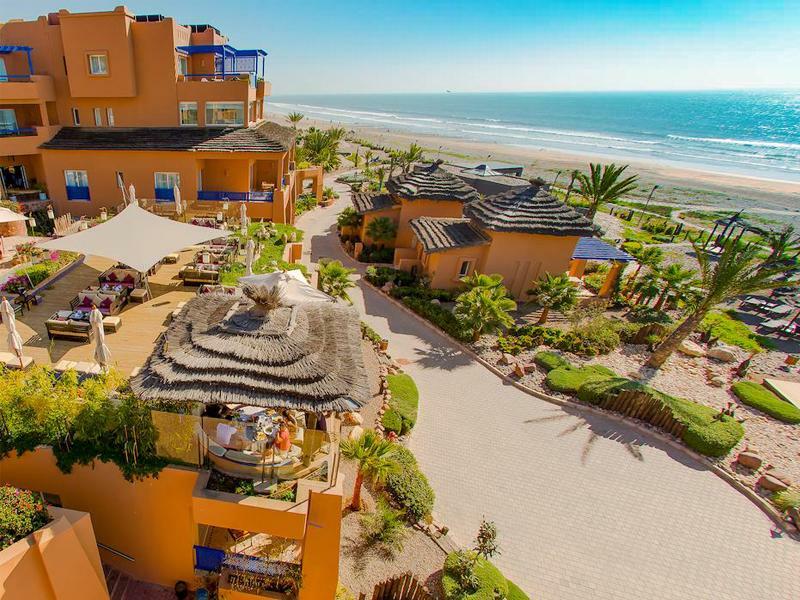 There are also some cheaper options, like guest houses, also known for their local architecture, or even surf camps which leave you much closer to the local spots. Since this is a majority Muslim country, albeit a moderate one, you should take care to respect local customs. Women, especially, should be careful to dress modestly. Ask your local Takeoff operator for more information. 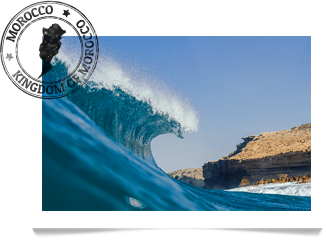 Morocco has what is probably the richest coast in the world when it comes to right hander point breaks. Long and power-packed waves which require some skill but hold out for what seems like infinite sessions. The regulars will feel right at home here, but if you’re a goofy do not despair, some spots have left handers and, although scarcer, there are also some beach breaks.